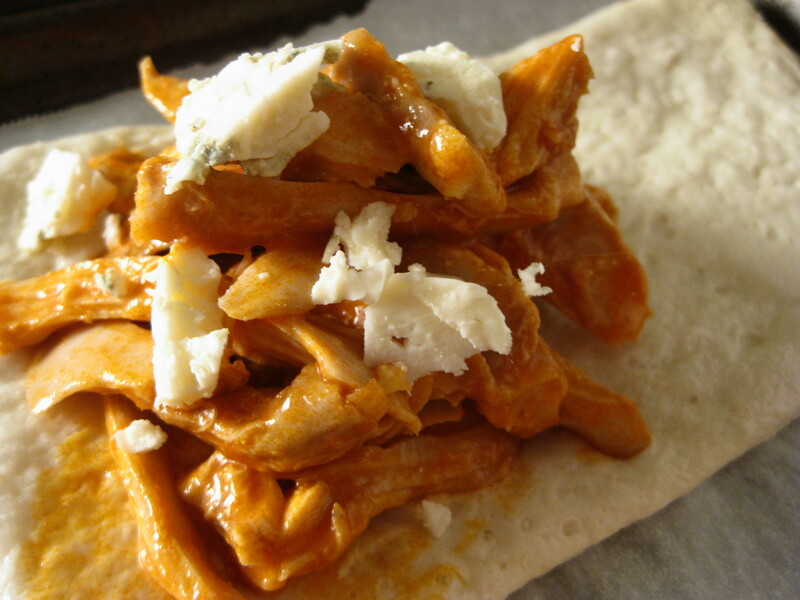 Spicy Buffalo chicken is wrapped in pastry with pungent, gooey cheese. 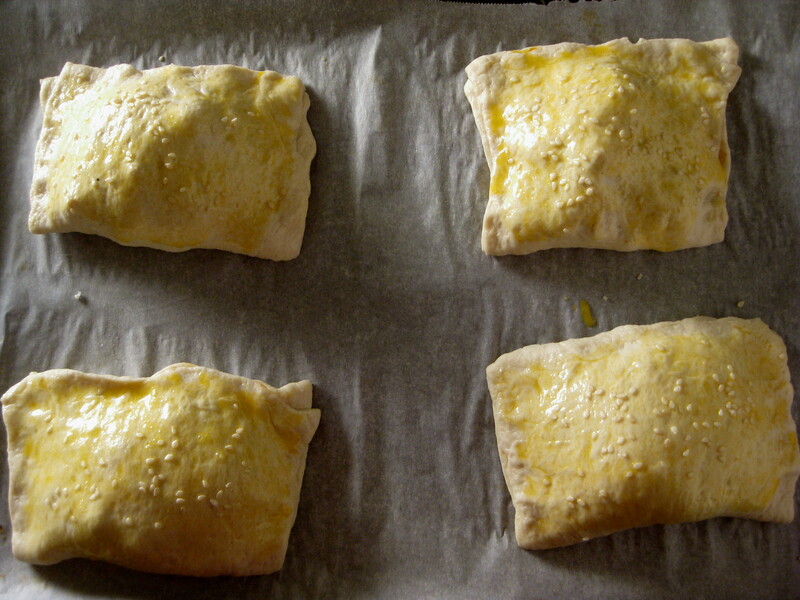 Unroll the pizza dough and place on the parchment-lined cookie sheet. Starting in the middle, press the dough into a 14×10-inch rectangle. 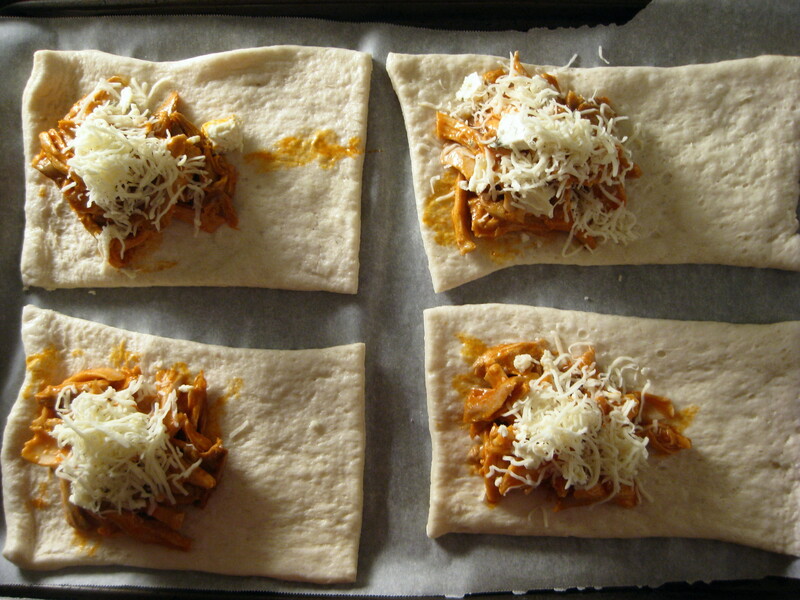 Using a pizza wheel, cut the dough into four rectangles. In a small bowl, mix the chicken and buffalo sauce. Divide the chicken mixture into four equal portions and scoop onto the left side of each rectangle, leaving a 1-inch border. Sprinkle with both cheeses. 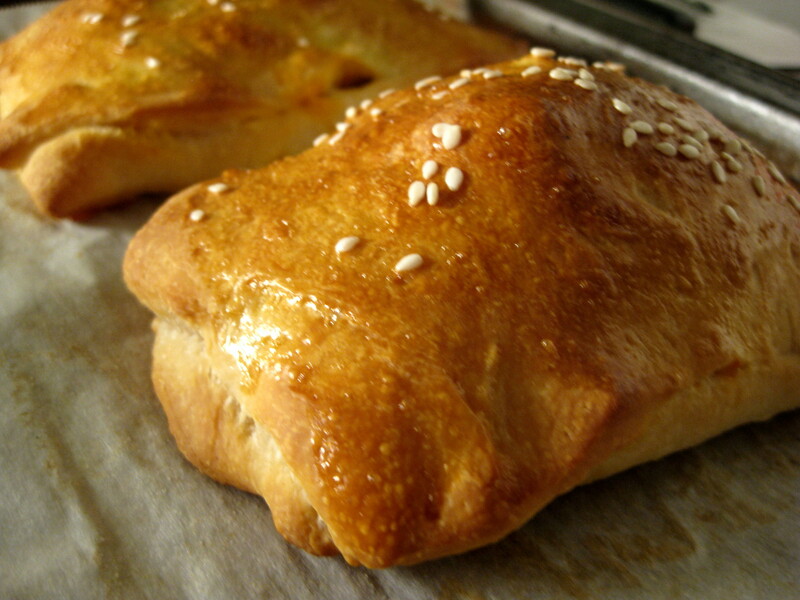 Fold the right sides of the dough over the filling and pinch the edges to seal. 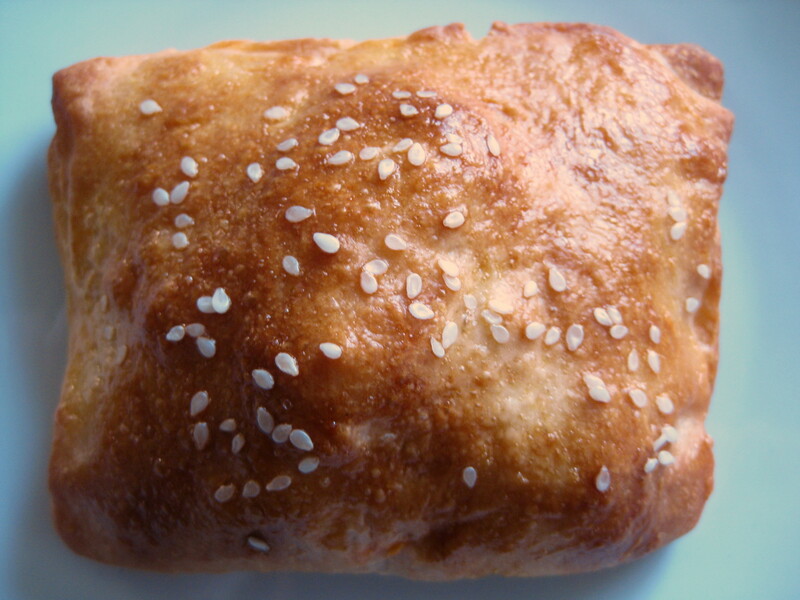 Brush on egg and sprinkle with sesame seeds.